Following a successful pilot survey in 2011 which defined a methodology, exeGesIS and Natural Resources Wales (NRW, then the Countryside Council for Wales) worked to complete a full survey of the coastline of Wales (approximately 1,200km) in summer 2012. In addition to the survey, the actual path line for the Wales Coast Path was digitised and categorised based on BS7666 standards. 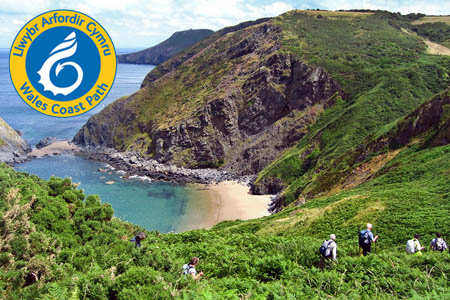 The survey was completed with the goal of providing a summary of the condition of the Wales Coast Path. It was also intended to act as a resource for local authorities responsible for maintaining the path as it passes along the coast. After the survey all data was made available to NRW via a dedicated data management system. The Wales Coast Path Quality Management System is hosted and supported by exeGesIS and available to NRW staff for the purposes of managing the Wales Coast Path. For more information, please contact Simon Allen or Jon Young.